Helloooo! 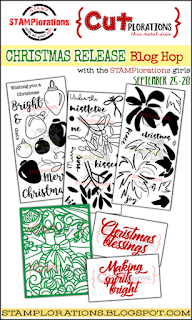 Welcome to the second day of our mini blog hop featuring my newest stamps, along with some fab dies from Shery. Today we're focusing on Layered Mistletoe. 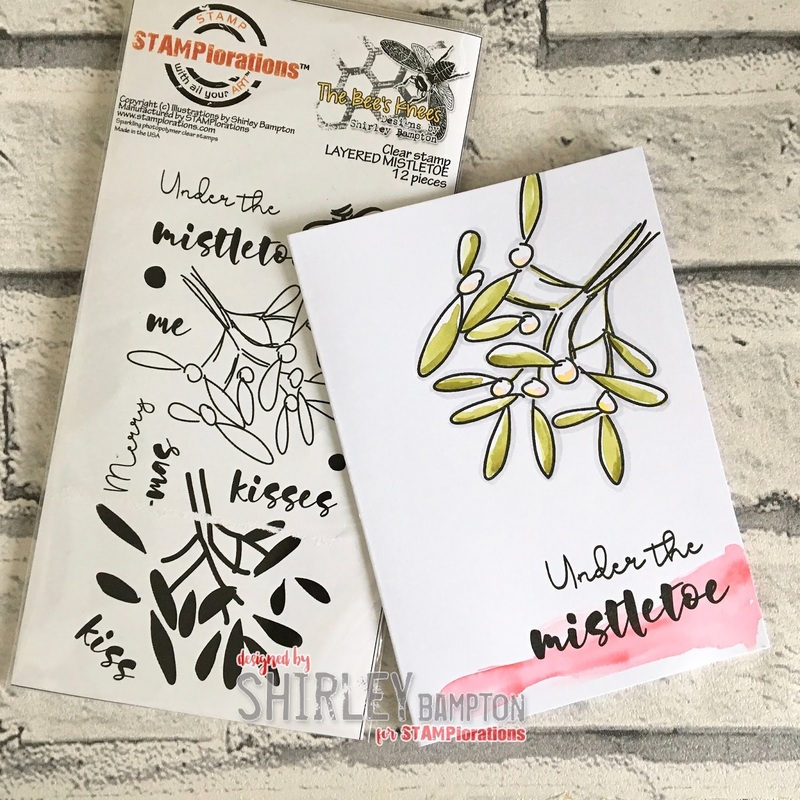 There's a solid image and line image for the bunch of mistletoe, a couple of berries in different sizes, a twine bow and some words to make your own sentiments. Don't forget, the two images for the bunch won't align properly, because they're not meant to. For my first card, I've used a piece of mixed media paper ripped from a comb-bound pad. I stamped and spritzed the solid image stamp repeatedly until I got the desired effect, then once it was dry I overstamped with the line image. The twine bow was stamped on spare and trimmed. I used Nuvo drops for the berries. How about a little monochrome for an understated card? 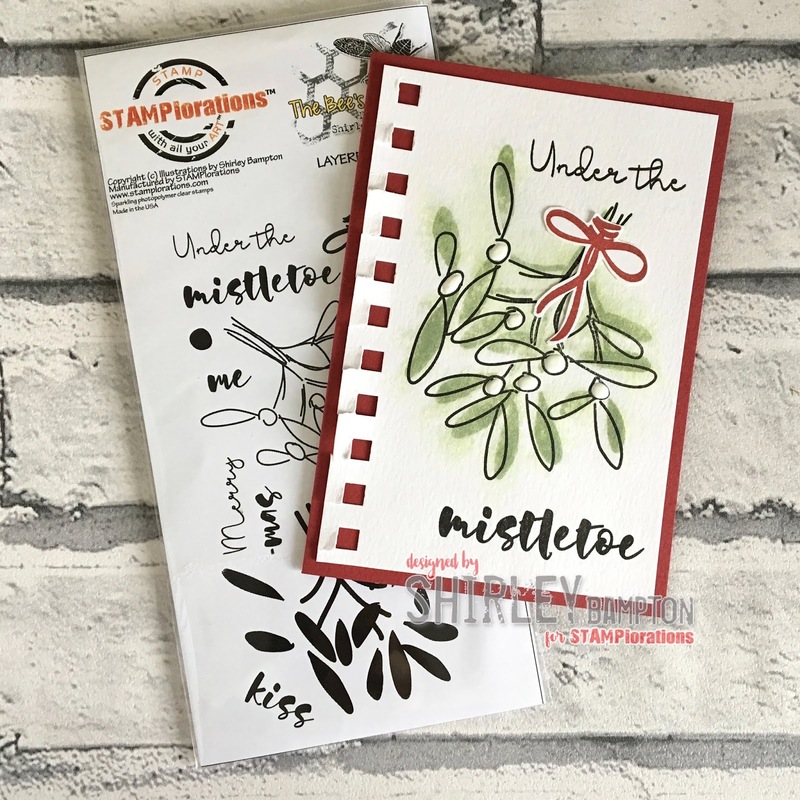 For this last card I stamped in Bundled Sage for a bit of no-line watercolouring. See you tomorrow with my final set. Oh wow! 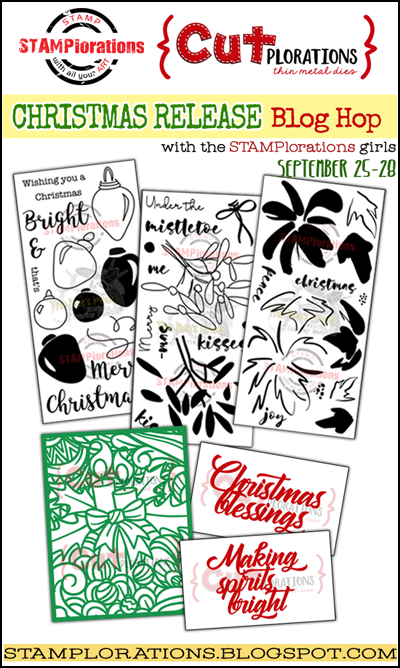 I like your new stamps! Great cards for sure! Fun stuff! Thank you! Simply beautiful Mistletoe images, Shirley. I can't decide, which one I love best. TFS my friend. Hugs..
Love this Layered Mistletoe set! Beautiful cards! Such great cards! This is one of my favorite sets! Beautiful cards --- the first one with the notebook edge! Gorgeous cards! Beautiful designs and I love the artistic feel. Fantastic! Your cards are so modern and elegant. Love the feel to these!